Crafting with Suzanne (& Jess): Ice Cream Anyone? I took this idea from a very good friend of mine a while ago (thanks, Preet!) and Jessica has played with our set so much that we thought we'd make a set for her preschool. Each scoop of ice cream is a scrunched up A5 piece of construction paper. The flakes are straws wrapped in construction paper and the strawberry sauce are lengths of wool. 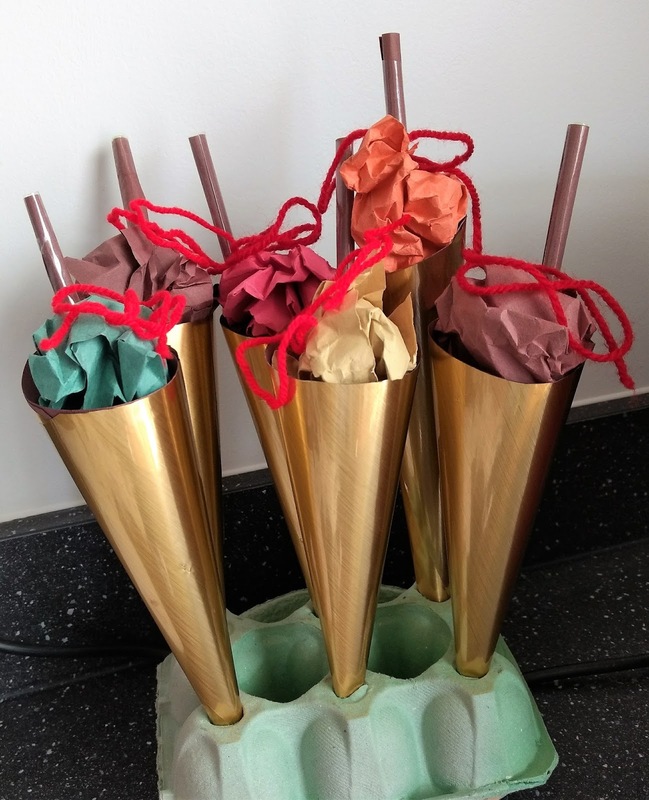 I made cones from brown construction paper and then covered them in self-adhesive gold foil, which I love, from Home Bargains. We have also made them a set of ice lollies like the ones I shared last week too. So cheap yet there are hours and hours of fun to be had with them.